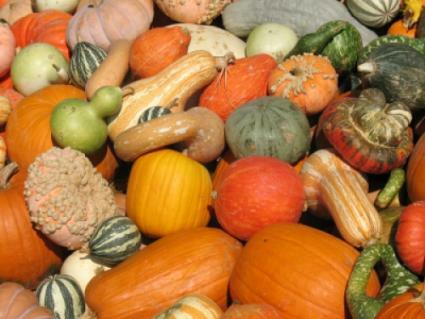 Growing fall vegetables in South Carolina is not as difficult as it may seem. With an understanding of the growing zone and the right types of plants, you can enjoy many of your favorite vegetables right through to Thanksgiving. The most important thing to remember when growing vegetables is to respect your growing zone. Attempting to grow vegetables not suitable to your area will only lead to frustration when there is nothing to show for your hard work. South Carolina spans three hardiness zones. The Piedmont region is in zone 7b and the midlands and low country are in zone 8a. When purchasing seeds, check the back of the seed packet for acceptable growing zones and choose ones meant for your area. Since harvest time for fall vegetables runs from October through November in South Carolina, be prepared for cold snaps by using raised beds. If you don't already have raised beds and do not want the expense of making them, simply create raised rows by putting the soil in mounded rows. Make sure there is enough room to move between the rows so the soil does not become impacted. Another option for extended growing seasons are cloches or cold frames. A cloche is a covering, which is often made of glass, that can be placed on top of tender plants in the event of unseasonably cold weather. Cold frames are rectangle boxes with hinged glass tops used to keep wind and ice from your plants. Most of the time these are not needed for growing fall vegetables in South Carolina since typically the first frost is not until mid to late October. Determine the first frost date for your area, then subtract the number of weeks each plant requires to reach maturity in order to figure out when to plant. Based on the planting date, you may have to make room in your garden for mid-summer plantings. If you planted a spring and summer garden and plan to replant in the same area, add soil amendments such as mushroom compost or other fertilizers. This will add much needed nutrients and enhance your plant's performance.You will probably need to mulch heavily to retain moisture during the hot South Carolina summers since this is a critical time when the seeds will be sprouting. Adequate moisture is required for healthy plants. Monitor the seedlings closely in the first several weeks to prevent pests from eating the newly budding leaves and the sun from drying out the soil. As the plants grow, you will need to feed them liquid fertilizer specifically designed for vegetables. It contains the required ratio of nutrients needed to maximize the harvest. Whatever vegetables you decide to plant, make sure you watch closely for signs of frost. You may need to harvest while the produce is still small to prevent it from being damaged. This is most often the case with traditionally warm weather vegetables such as tomatoes. The plant will continue to produce as long as it does not experience several nights of cold temperatures.